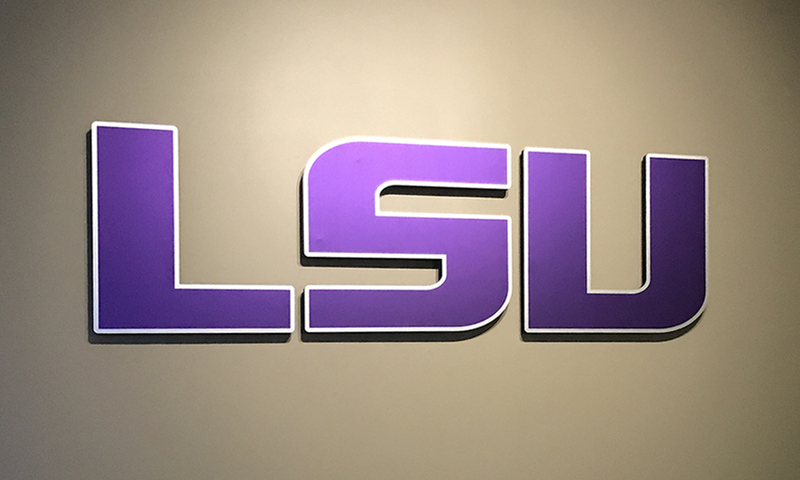 Louisiana State University, located in Baton Rouge is a power 5 conference sports program and is ranked as the nation’s fifth most-valuable college football program by both Forbes and independent studies. 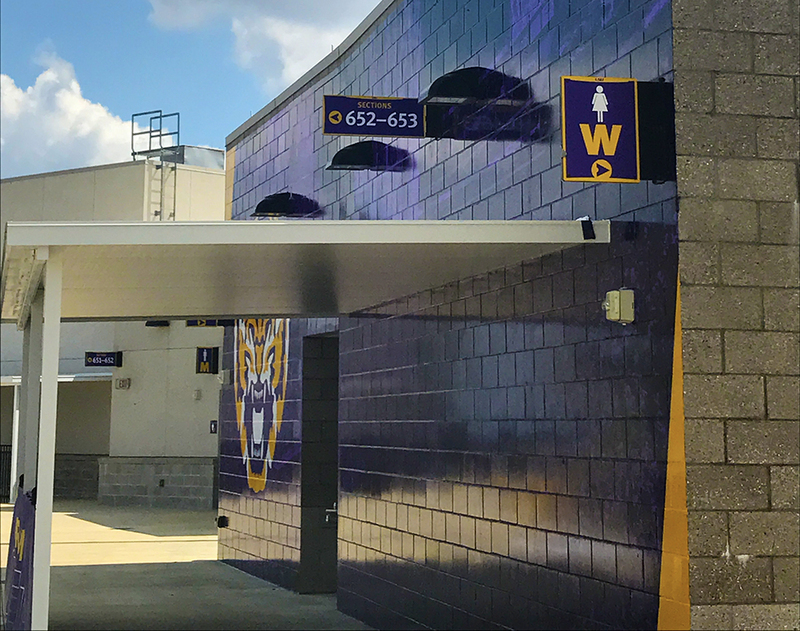 Managing the various sports facilities to include stadiums, training centers, fan accommodations and athletic offices is a daunting task. 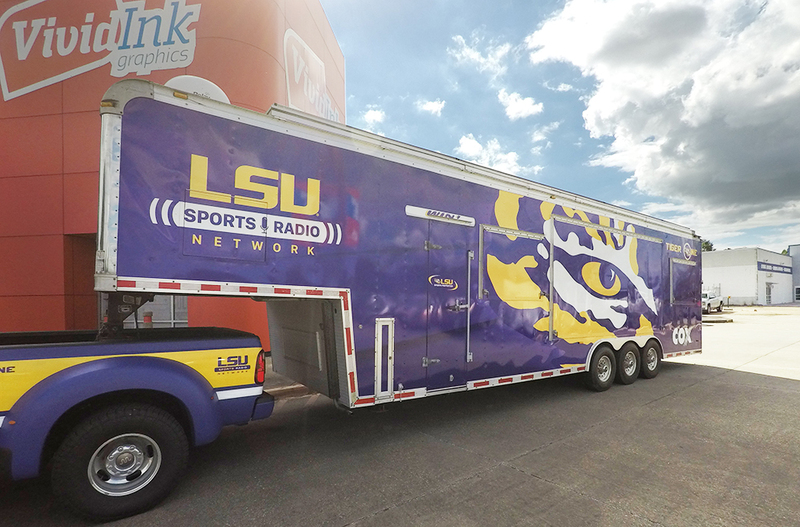 Being prepared for special events to include fan days, and other media events is a constant need. 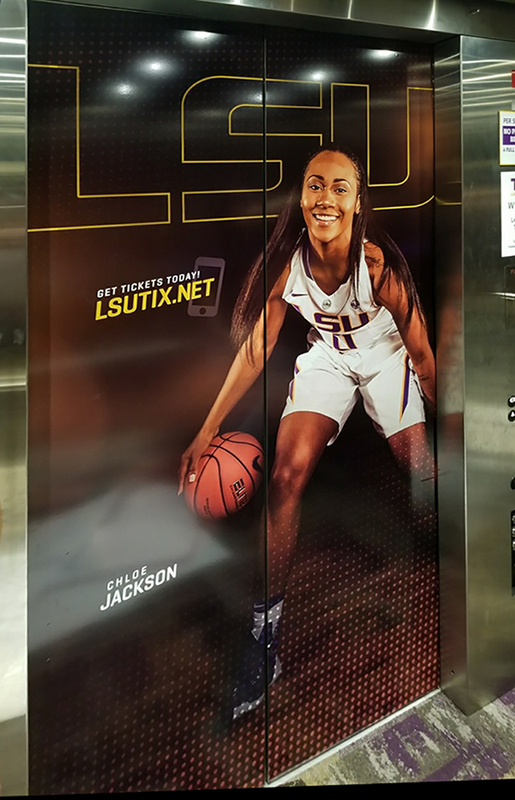 As with most major college sports programs, LSU’s internal marketing department is constantly challenged to meet the demanding schedule for men’s and women’s athletics. 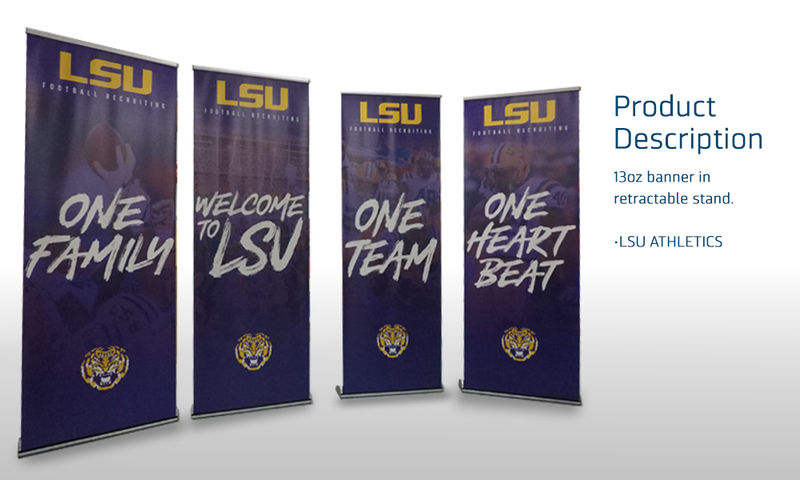 LSU must have reliable and consistent imaging which includes their branded logos and PMS color matching which are nationally recognized. 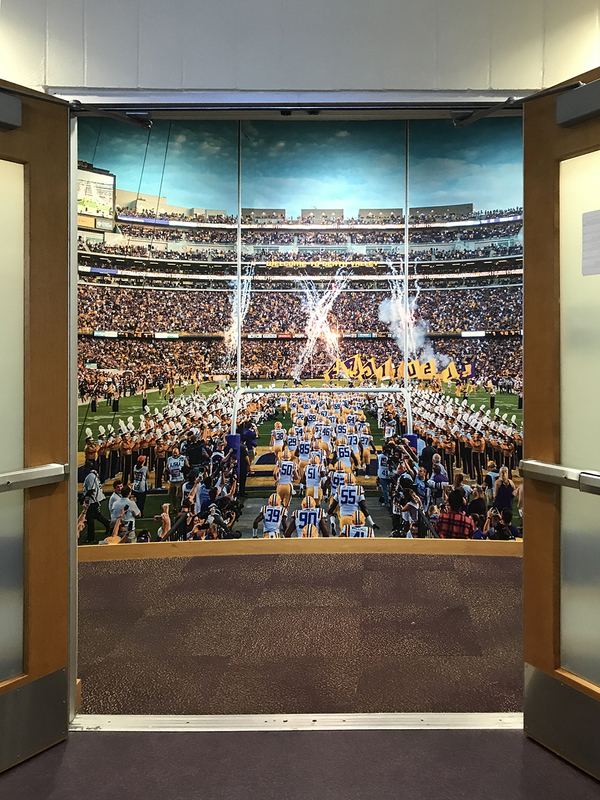 Vivid Ink Graphics offered LSU an industry-leading set of best practices for achieving color matching and visual consistency across all print processes. 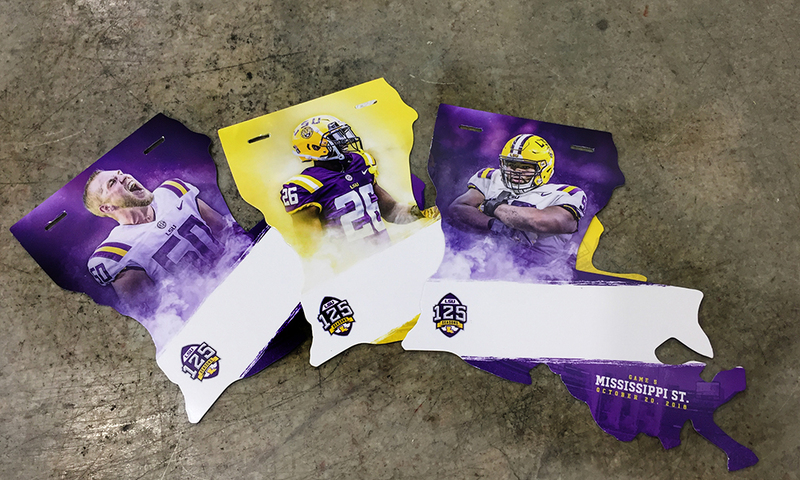 The application of Vivid Ink Graphics’ G7 Master Certification enables reproduction of items of similar visual appearance across all printing formats and substrates. 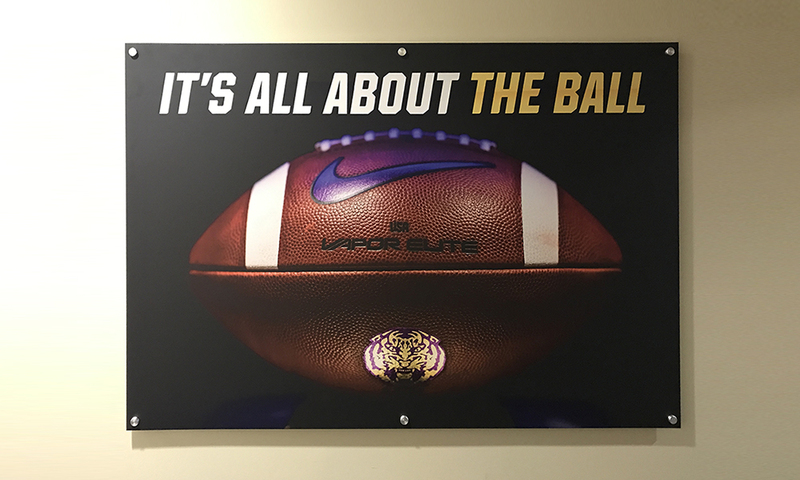 LSU’s unique purple and gold team colors are perfectly matched for each team and function. 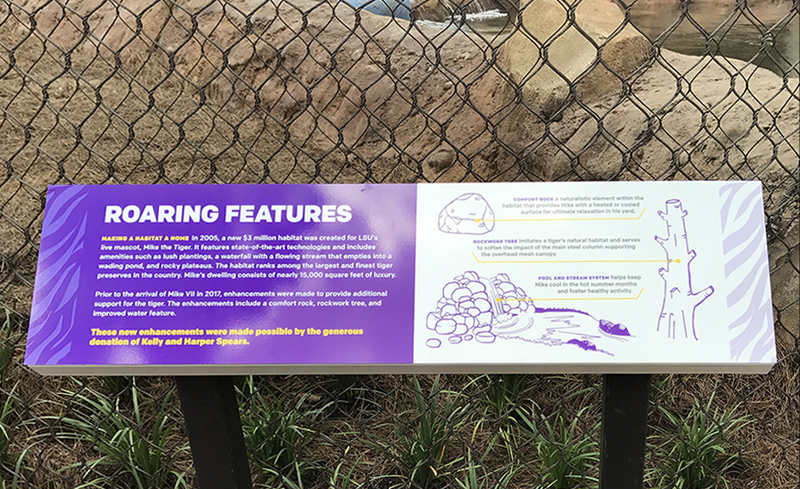 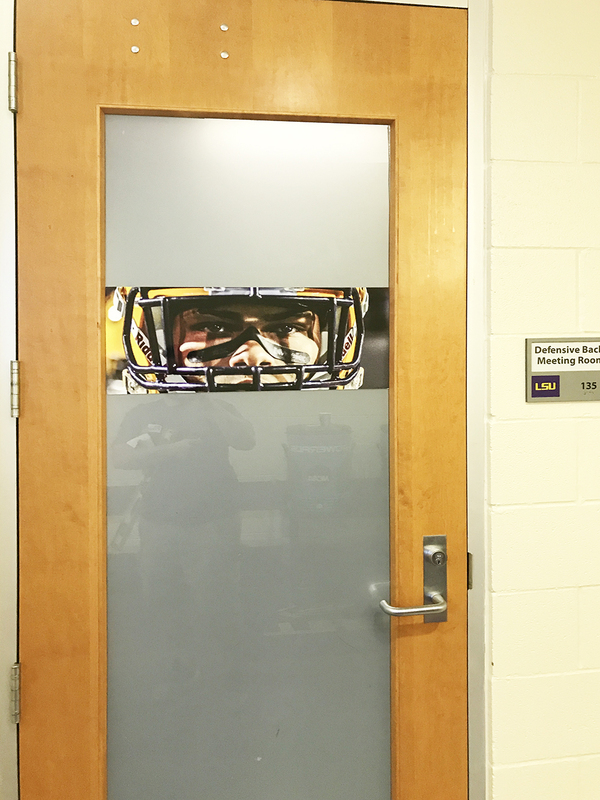 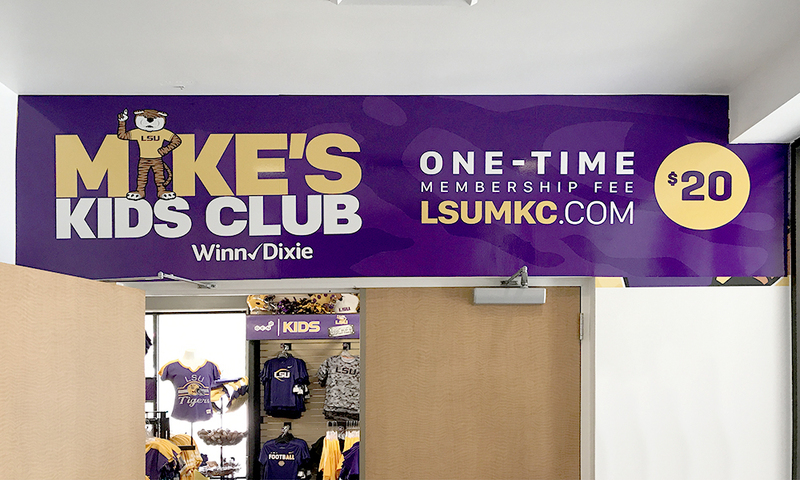 LSU has a trusted partner for on-time-delivery of small and large format graphics as well as custom items produced for special events while ensuring a perfect color match each and every time. 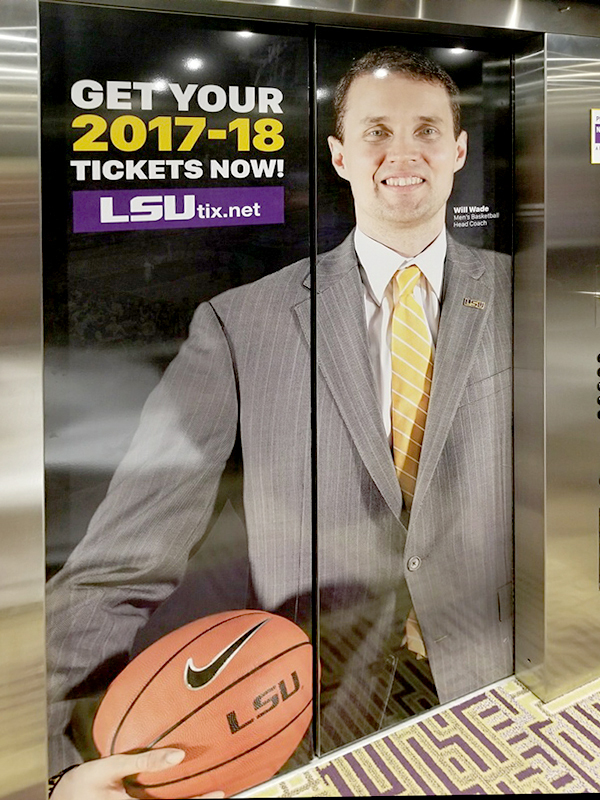 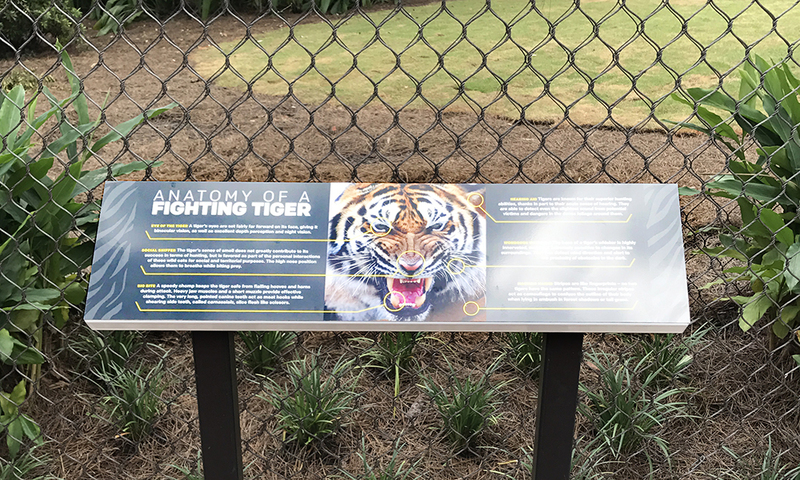 The Fighting Tigers of Louisiana State University have a consistent and professional appearance and the alumni and fans of the sport’s programs can take great pride in the public image of their beloved Alma Mater. 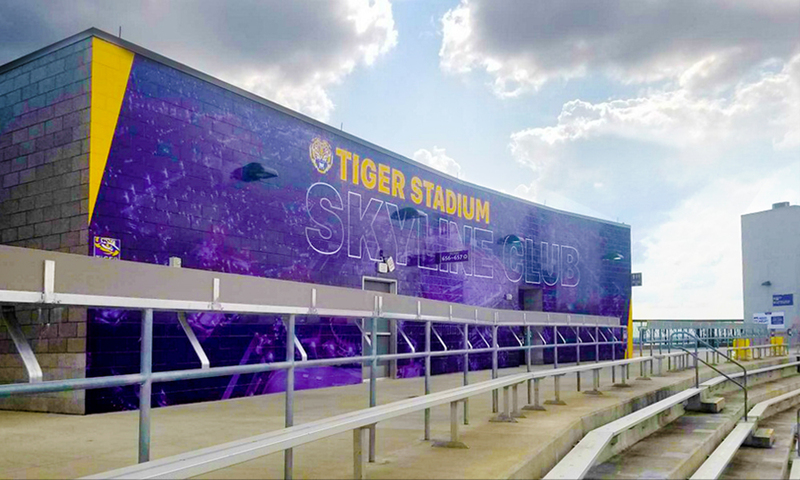 Vivid Ink Graphics has proven to be a trusted partner for the various items we need to support our athletic functions and fan engagement. 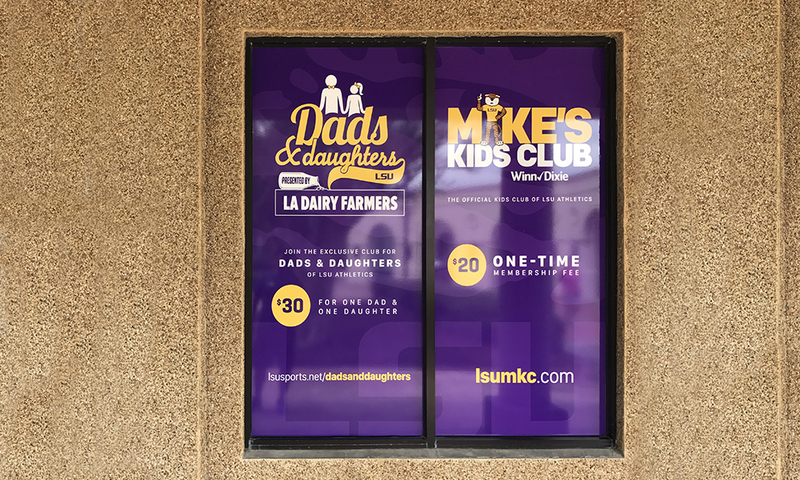 We can always count on them to provide the best solution and offer the quickest response which is vital to our promotional efforts.